Article by Fintan Lane on the pocket of anarchism in Ireland in the 1880s. When we think of revolutionaries in late nineteenth-century Ireland, we think of Fenians rather than the anarchist agitators who were then making their presence felt on the Continent. Irish revolutionary thought focused on republicanism rather than on class politics—at least until the twentieth century. This is understandable, as neither Marxism nor anarchism had many adherents on the island and those socialist organisations that did exist were typically small and ephemeral. Likewise, when we visualise late nineteenth-century anarchists, the image conjured up is of shadowy, hunched men, wearing slouch hats and carrying round black bombs. This image derives, to some degree, from the popular memory of a minority anarchist propensity to engage in ‘individual terror’ against the ruling class, but also from a conscious construction by those opposed to the objectives and collectivist methods of both anarchists and socialists. From Europe to the United States, the anarchist was portrayed in words and images as a dangerous agitator, homicidal terrorist and arch-manipulator of a politically naive working class. The emergence of a Dublin branch of the Socialist League in December 1885 marks the beginning of modern organised socialism in Ireland, though it was immediately preceded by the semi-socialist Dublin Democratic Association. An unbroken continuity of organisation exists between this first socialist group and Connolly’s Irish Socialist Republican Party of 1896. Moreover, the libertarian socialism of the Socialist League remained influential within Dublin socialist circles until the arrival of ‘new unionism’ and the subsequent establishment of branches of the Independent Labour Party in Dublin, Belfast and Waterford in the mid-1890s. The Socialist League was formed in Britain in December 1884 as a breakaway from the Social Democratic Federation (SDF). The reasons for the split were complex, but many related to the politics of H. M. Hyndman, who was determined to maintain his grip on the leadership of the SDF. Hyndman’s socialism was a dogmatic variant of Marxism; his cynical view of workers’ political and industrial self-mobilisation was one issue that irritated many of those who left to form the Socialist League. For Hyndman, in E. P. Thompson’s words, social reforms ‘were the carrot for the donkey; and the donkey was the people’. The Socialist League, in contrast, under the leadership of libertarian Marxists (such as the poet William Morris and the Austrian exile Andreas Scheu) and anarchists (such as Joseph Lane), declared its immediate objective to be social revolution, and saw social reforms as palliatives purveyed by capitalism, according to Morris, ‘with the intention of . . . being a nullity or a bait to quiet possible revolution’. From the beginning, the Socialist League saw itself as primarily a propagandist organisation, which would help to sow the seeds of revolution in working-class minds. Participation in parliamentary politics was denounced; the league firmly believed that there was no electoral road to socialism. It also declared itself, like the SDF, to be in favour of Irish Home Rule, and its secretary, John L. Mahon (of Irish extraction), made efforts to recruit in Ireland. These bore fruit mainly because of the arrival of an English Socialist Leaguer in Dublin in 1885. Michael Gabriel, an anarchist, settled in Bayview Avenue off the North Strand, and in June 1885 began to distribute Socialist League leaflets and the group’s newspaper, The Commonweal. Gabriel was a 27-year-old lithographic artist from Middlesex (his father John had also been an artist), and it is likely that he moved to Dublin to work with the socialist Fritz Schumann, who operated a small lithographic print business in the city. Copenhagen-born Schumann (1843–1910) was a talented lithographic artist and designer; christened Claus Friedrich Schümann, he was a trade union and socialist activist in Denmark and England before coming to Ireland, and later was active politically in the United States. Max Nettlau, the prominent anarchist historian, met Schumann in Dublin in 1888 and believed him to be an anarchist, though at that time the demarcation between anarchism and Marxism was not always clear. Despite such potentially debilitating gloom, Michael Gabriel managed to form a Dublin branch of the Socialist League at a meeting on 13 December 1885. The first monthly membership report gave membership as ten, which included some erstwhile members of the DDA. Hayes became branch secretary, while 35-year-old John A. Ryan, a former Internationalist and clerk from Great Brunswick Street (Pearse Street), was made treasurer. Other founding members included Gabriel, King, Schumann, Thomas Fitzpatrick, John O’Gorman, Auguste Coulon and Arthur Kavanagh. They hired the Oddfellows Hall in Upper Abbey Street for weekly meetings, which were held at 8pm each Thursday night. Religious sensibilities proved an enormous impediment for socialist organisers in Ireland during the late nineteenth and early twentieth centuries. Nevertheless, the Dublin socialists continued to receive a good hearing at the Saturday Club, and over the following years they played a prominent role in the organisation of debates and provided many speakers. In April 1886 the Dublin Socialist League was instrumental in bringing William Morris to Dublin, and among his engagements was a lecture on socialism to a packed meeting of the Saturday Club. At most, the Socialist League in Dublin had just over twenty members at its height. It was a minuscule organisation, but this small group was enough to raise the spectre of socialism in Ireland and its meetings received some coverage in the press. It hosted a number of public meetings, and Samuel Hayes estimated an attendance of 60 at the first of these on 7 January 1886; the Freeman’s Journal carried a long report of its proceedings. Following a dispute with the Oddfellows Society a week later, however, the branch had difficulties in finding halls for its lectures. A meeting was held upstairs in a public house on the corner of Fownes Street and Wellington Quay (now the Ha’penny Bridge Inn), but the landlord barred the socialists once he discovered the purpose of the gathering. Fitzpatrick did not completely dismiss Irish anti-colonialism in this statement—he did use the word ‘alone’ to qualify his remark—and, in fact, it appears that he was a member of the Irish Republican Brotherhood; in the main, however, these early socialists equated Home Rule, in particular, with a narrow-minded nationalism, which they saw as harmful to the interests of the working class. John O’Gorman (c. 1857–1902), a Kilkenny-born accountant and member of the Socialist League, summed up this attitude in 1891, when he contended that Home Rule would entail ‘the rule of the farmer, the publican, the clergyman and the politicians’. Rather than oppose Home Rule with an alternative, however, as James Connolly was later to do, the Socialist Leaguers stood back from the primary political issue of their day; this negative attitude brought them neither recruits nor popularity. Interestingly, a Dublin Metropolitan Police report from the time describes the membership as ‘mostly foreigners intermixed with low Fenians’, and the involvement of the latter may go some way towards explaining the hostility to Home Rule. Ultimately, the anarchists in the Dublin Socialist League counterposed an abstract internationalism to a constitutional nationalist ideology that they understood as a political instrument of a rising Irish bourgeoisie. The socialists’ dislike of the Home Rule movement was partly an objection to the notion of change through constitutionalism. In January, Gabriel argued at the Saturday Club that the ‘idea of looking to parliament, whether Irish or English, to do anything for them was a mistake’, and that ‘everything depended on the organisation and co-operation amongst the working class’. Gabriel’s anarchism included a strong distaste for piecemeal reforms, and even extended to the dubious assertion that a suggested ‘agitation about rack-renting would not do them any good at all’, an odd position in a city with severe housing problems. Despite suffering some attention from the police, the league was largely unmolested at its public meetings, although its March social evening to celebrate the Paris Commune was, according to Gabriel, ‘a small private meeting’ because of the fear of its ‘being broken up’ if openly advertised. Nevertheless, such trepidation was uncommon, and when a man named Magennis lectured in the Rotunda on the topic of socialist ‘snakes in the grass’, the league advertised its following meeting under the same title and specifically invited Magennis to attend. The branch also raised the profile of socialism in Dublin by its involvement, through Schumann, in the bottlemakers’ lockout of early 1886, and in April the lectures by Morris generated some interest in socialist ideas. April marked a high point for the Socialist League in Ireland, however, and, as summer approached, the Home Rule issue affected the members’ morale and activity. April had seen the introduction into the House of Commons of Gladstone’s doomed 1886 Home Rule Bill, and the rest of the year was dominated by the controversy and the hopes it generated. The socialists admitted this to be a problem in May, when Schumann wrote frankly to London that it was proving ‘extremely difficult just now to get people to think of anything but Home Rule’. By late 1886 the branch was almost moribund, but it staggered on until March 1887, when it finally collapsed. In October 1886 the Dublin branch clashed with the central council of the Socialist League in London, and this probably accelerated the demise of the section. The council had on 17 May expelled Charles Reuss as a suspected spy for the German police. It was later proven that Reuss was indeed a spy, after he betrayed Johann Neve, an anarchist wanted in Germany; in October 1886, however, The Anarchist, a British anarchist newspaper, devoted almost the whole of its front page to an article attacking the Socialist League and supporting Reuss. This dispute in Britain was noted in Dublin, where members of the branch regularly received copies of The Anarchist. The Dublin socialists contacted London to express their concern and, following an exchange of correspondence, they unanimously adopted a motion attacking the council; that they took the word of The Anarchist over that of their own council points to the strong influence of anarchism among the Dublin members. The conflict between the Dublin branch and London was eventually resolved at a special meeting held in Dublin on 9 November. John O’Gorman let London know that their letters ‘and assurances considerably lessened the hostility to the council (practical anarchists, we) that was displayed at other meetings’, and the matter was dropped. Nonetheless, the dispute would not have encouraged the Dublin members to maintain the Irish section. It is necessary to understand the politics of the Socialist League branch before one can fully understand the groups and clubs that followed and the attitudes held by leading Dublin socialists in the 1890s. 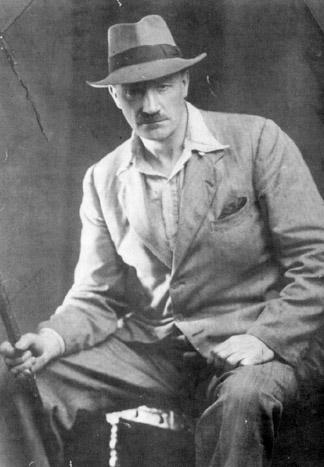 Many of the Socialist Leaguers remained politically active over the following years, and some, such as Arthur Kavanagh, John O’Gorman and George King, had connections with James Connolly’s ISRP. O’Gorman’s antipathy to nationalism was probably responsible for his failure to formally join the ISRP, though he was helpful and spoke at an ISRP Paris Commune commemoration in 1899. Anarchism, however, had diminished as a political current in Dublin by the mid-1890s, partly owing to the departure of activists such as Michael Gabriel. The 1891 British census indicates that Gabriel had moved back to London by then. Another Dublin-based anarchist and Socialist League member, the Frenchman Auguste Coulon, also surfaced in London, where he was exposed in 1892 as a bomb-maker, advocate of terrorism and agent provocateur for the police. Nevertheless, at the end of the 1880s anarchism still had a real presence in Dublin, in part sustained by solidarity work for the ‘Chicago anarchists’, men convicted, on threadbare evidence, for alleged involvement in the Haymarket attack of August 1886, when a bomb was thrown at police in Chicago. Meetings and debates on the issue were organised, with one event held in October 1887, weeks before four of the men were executed. Moreover, Thomas Fitzpatrick travelled to Chicago in August 1888, returning the following year to give a ‘first-hand’ history of the case at a packed public meeting on 11 November, the second anniversary of the executions. There were also visits to Dublin by leading international anarchists, such as Max Nettlau (April 1888) and the Irish-born Dr John Creaghe (November 1889). Creaghe probably attended Fitzpatrick’s public meeting; he was present primarily to participate in a discussion at the Progressist Club on ‘Anarchism versus Democracy’, a debate that lasted three evenings because of ‘the great number desirous of speaking’. They met regularly in rooms at 2 Bachelor’s Walk, which housed a bookshop owned by Michael Hickie, one of the members. Tipperary-born ‘Tricky Mickey’ Hickie, so known because of his astuteness as a bookseller, was a member of the IRB (though he might have left them by 1887) and in later years was a good friend of the Fenian John O’Leary. The National Labour League was followed by a variety of socialist clubs and debating societies and, later, by the Irish Socialist Union, whose members played a significant role in introducing ‘new unionism’ into Ireland. These organisations never had large memberships—dozens rather than hundreds—and social revolutionary politics won few adherents. There are obvious objective reasons for the organisational frailty of Irish socialism in the 1880s, but internal factors also played a role—the abstract propagandist approach of the Socialist League, for example, was scarcely likely to enthuse many working-class Dubliners. Ultimately, the dominance of the Irish labour movement by the reformist ideologies of labourism and labour-nationalism was never seriously threatened, and anarchism had disappeared from Dublin working-class political life by the mid-1890s. Fintan Lane is co-editor of the forthcoming Essays in Irish labour history: a festschrift for Elizabeth and John W. Boyle (Irish Academic Press). J.W. Boyle, The Irish labor movement in the nineteenth century (Washington DC, 1988). F. Lane, The origins of modern Irish socialism, 1881–1896 (Cork, 1997). J. Quail, The slow burning fuse: the lost history of the British anarchists (London, 1978). We'll just pretend Jack White was alive in 1885, it was that or photos of the lockout. Excellent work. Any further information on what happened to Michael Gabriel when he returned to London? Googling his name just brings you back to this article so unfortunately not. Maybe J.W Boyle's book would help?